Colorful, yet simple, our 24 medium stem roses make the perfect flower arrangements for birthdays, anniversaries, and other special occasions. Nothing says I love you like a dozen roses! We also have 2 dozen red roses available. 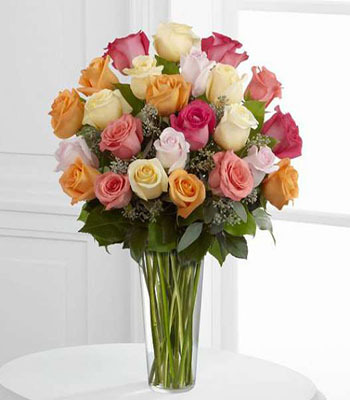 Contact Four Seasons Flowers for fresh flower delivery in San Diego. Order today for same-day delivery!